Refinancing to a 15-year mortgage isn't for everyone. Refinancing your mortgage loan to benefit from a lower interest rate can save you big bucks in the interest you pay over the term of the loan. Since your payment mostly goes toward interest in the first years of the loan, deducting the interest on your taxes can give you a bigger tax break. If you're earning a good living and don't plan to change careers, the advantages of refinancing into a 15-year mortgage might be worth considering. Going with a shorter loan term will not only get you a lower rate, but can save you more in the total interest you pay over the life of the loan. With a 15-year mortgage, you’ll build equity in your home faster by paying down more on the principal each month. While refinancing your loan to a shorter term will increase your monthly mortgage payments, it can be a good deal as long as you make enough money so that your budget can handle the higher payments. However, the higher payments could put you short on cash, or worse yet, put you in a position where you can’t keep up with the payments. That's why you need to consider your other financial goals before jumping the gun on a shorter mortgage. If one of your long-term goals is not to have a mortgage when you retire, you need to consider your overall financial picture. Even if your finances are in good shape now, things could change fast if you hit unexpected financial bumps in the road. One option is to refinance your existing mortgage into another 30-year term, get a lower interest rate and still pay down on your mortgage principal faster. You could make the higher monthly payments that you would with a 15-year mortgage, but if money gets tight, you can drop down to the lower payment based on your 30-year refinance. That way, you won’t back yourself into a corner and can avoid having late payments listed on your credit report. While paying off your mortgage in less time is tempting, if higher mortgage payments cost you in other ways, refinancing to a 15-year loan might not be the thing to do. If you lose your job or get sick and can’t work for a while, you’ll need alternative cash reserves to fall back on. However, if you’ve set aside enough income to cover your living expenses for six months to a year, having an adequate emergency fund in place could make you feel better about taking on higher payments. 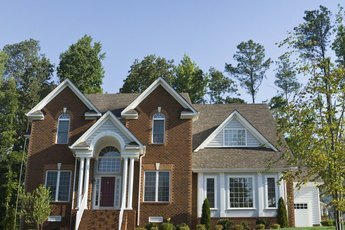 Refinancing to a 15-year mortgage might also be the right choice if you've been investing regularly for your retirement, although Bankrate.com adviser Don Taylor points out that a 15-year refinance might not be a good idea if the higher payments mean you can't afford to contribute to your 401(k) plan at work . Young homeowners, in particular, often do better to wait and refinance after they’ve paid on their mortgage loan for a few years. Still, it might be time to make a change if you have an adjustable-rate mortgage that’s getting ready to reset and you can refinance to a fixed-rate loan that offers an attractive interest rate. If there are closing costs involved, you need to figure how long it will take you to recoup the costs of refinancing your loan. Think about how long you plan to stay in the home. Refinance might pay off if you intend to live there for more than two years and will see your monthly savings sooner. 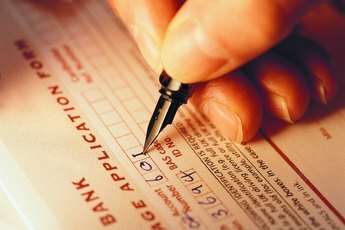 Can a Mortgage Be Paid Weekly? Can I Refinance My Condo if It Increased in Value? Is a 15-Year Mortgage Loan Better Than a 30-Year? Why Should You Refinance Your Residential Mortgage?